Join us as we commemorate the 75th anniversary of the crash of the G-AESY and the start of World War II with a month-long history-laden event that will entertain, educate, and enlighten you! 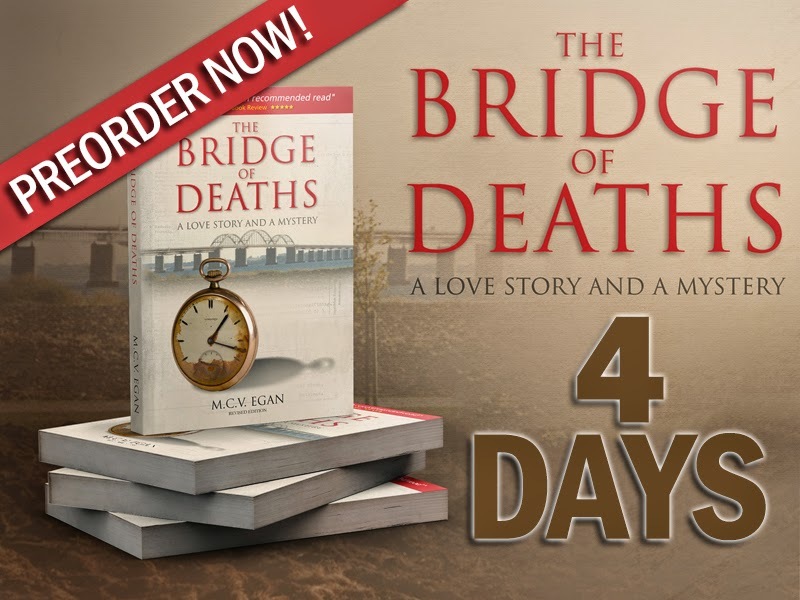 As part of this event, a revised version of The Bridge of Deaths, this award-winning and highly-acclaimed account of the events of that fateful day in 1939, will be re-released. If you would like to be a part of the month-long anniversary event from September 1 to September 30, please go here: http://bit.ly/TBOD75Event. M.C.V. Egan is the pen name chosen by Maria Catalina Vergara Egan. Catalina was born in Mexico City, Mexico in 1959, the sixth of eight children, in a traditional Catholic family. From a very young age, she became obsessed with the story of her maternal grandfather, Cesar Agustin Castillo--mostly the story of how he died. She spent her childhood in Mexico. When her father became an employee of The World Bank in Washington D.C. in the early 1970s, she moved with her entire family to the United States. Catalina was already fluent in English, as she had spent one school year in the town of Pineville, Louisiana with her grandparents. There she won the English award, despite being the only one who had English as a second language in her class. In the D.C. suburbs she attended various private Catholic schools and graduated from Winston Churchill High School in Potomac, Maryland in 1977. She attended Montgomery Community College, where she changed majors every semester. She also studied in Lyons, France, at the Catholic University for two years. In 1981, due to an impulsive young marriage to a Viking (the Swedish kind, not the football player kind), Catalina moved to Sweden where she resided for five years and taught at a language school for Swedish, Danish, and Finnish businesspeople. She then returned to the USA, where she has lived ever since. She is fluent in Spanish, English, French and Swedish. Maria Catalina Vergara Egan is married and has one son who, together with their five-pound Chihuahua, makes her feel like a full-time mother. Although she would not call herself an astrologer she has taken many classes and taught a few beginner classes in the subject. She celebrated her 52nd birthday on July 2nd, 2011, and gave herself self-publishing The Bridge of Deaths as a gift. Find M.C.V. 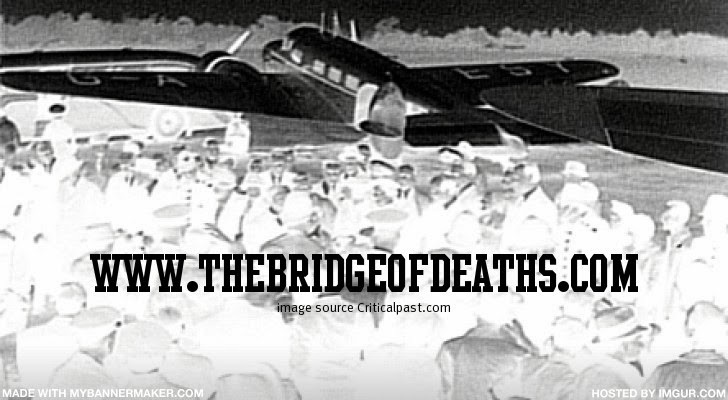 Egan and The Bridge of Deaths at www.thebridgeofdeaths.com. This is what peaked my curiosity. I am originally from Mexico and my grandfather died in the plane crash I wrote about. He was CESAR AGUSTIN CASTILLO , name got misspelled in the NY TIMES . He was never researched as he travelled with a Mexican passport and had a NY city address. He was raised in Germany and had huge ties with the Von Krupp Family. How could I not be intrigued. My husbands work in the insurance industry and tagging along to many London (Lloyds) trips helped a lot, I love your national a...rchives at Kew. I was married before for only 5 yrs but lived in Sweden and that opened the door to working with the Danish archives with ease. 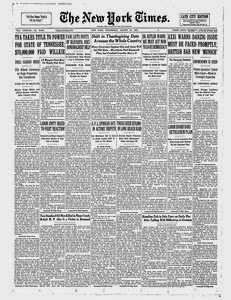 Today much (not all) is found on line but I spent the better part of the 1990's and the first few years at the turn of the century in dusty archives and using Newspaper Microfilms. Join us as we commemorate the 75th anniversary of the crash of the G-AESY (which is recounted in full in M.C.V. 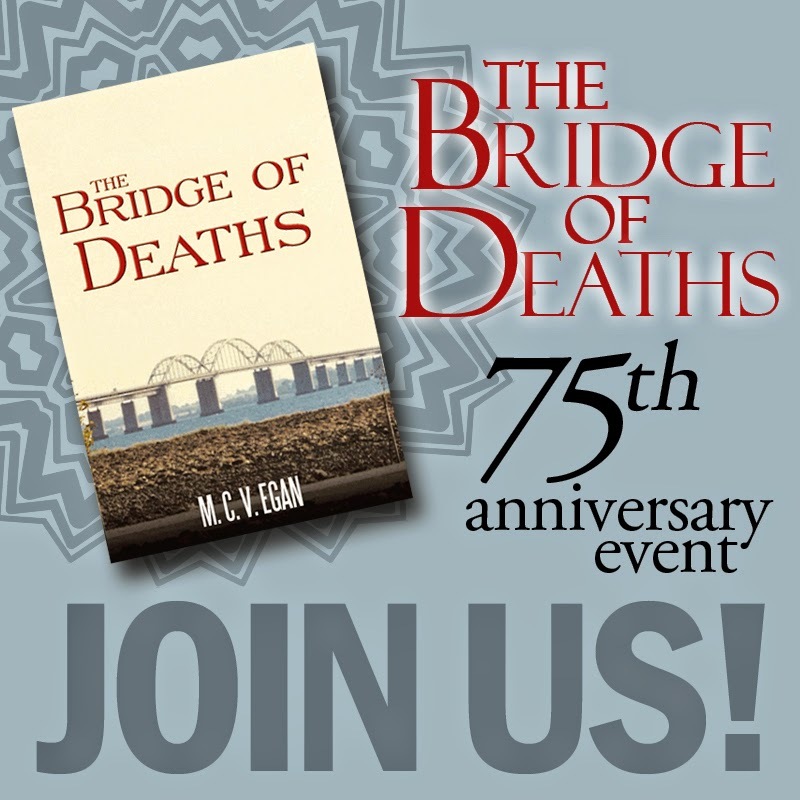 Egan's BRIDGE OF DEATHS) and the start of World War II with a month-long event that will entertain, educate, and enlighten you! As part of this event, author M.C.V. Egan will re-release a revised version her award-winning and highly-acclaimed account of the events of that fateful day in 1939. We are looking for awesome people to help with a cover release on August 15th and to post during the month-long anniversary event from September 1 to September 30. 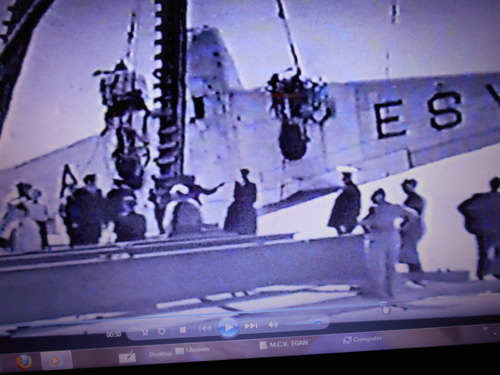 Join us as we commemorate the 75th anniversary of the crash of the G-AESY (which is recounted in full in M.C.V. Egan's THE BRIDGE OF DEATHS) and the start of World War II with a month-long event that will entertain, educate, and enlighten you! As part of this event, author M.C.V. Egan will re-release a revised version of her award-winning and highly-acclaimed account of the events of that fateful day in 1939, and we are celebrating that, as well. This event promises to be a memorable combination of knowledge, prizes, trivia, and media. We hope you'll consider joining us! There you go! I'm also creating a sign-up page on my site for the event, which I will share with my networks. Let me know if you have any questions!